Throwing a pizza party can be a lot of fun for both you and your guests. 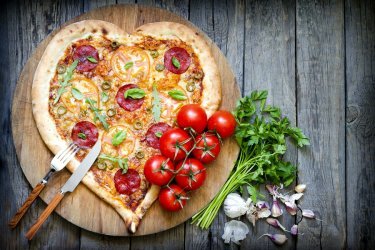 Whether you’re making homemade pizza or simply getting pizza delivery from your local pizzeria near San Jose , a pizza party is a chance to socialize, enjoy delicious deep-dish pizza, and experiment with exciting new pizza toppings. You can even have your pizza party at your favorite local pizza place. If you’re planning a birthday party for adults or child, a pizzeria is the perfect location for a casual, festive celebration. Pizza places also make great venues for celebrating after your team wins a game, hosting a fundraising event, and even holding a business meeting. 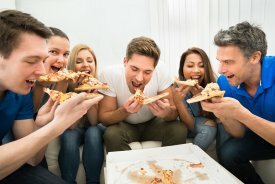 If you hold your next pizza party at a deep-dish pizza place, you’ll enjoy amazing food, inexpensive prices, a varied menu, and a relaxing, stress-free event that requires no set-up or cleanup on your part. High-quality pizzerias also cater to most dietary restrictions, and provide gluten-free pizzas, vegetarian pizzas, and vegan pizzas. Every one of your guests will find something delicious to enjoy. A great first date gives both people a chance to get to know each other while sharing a unique experience. When you’re planning a first date, you want to either choose an activity you already know that you’ll both enjoy, or think about trying something new together. You can sign yourselves up for a cooking lesson, visit your local zoo, or just go out for a casual meal at your local pizzeria near San Jose . If you’re tired of meeting dates for coffee or cocktails, try out some of these exciting first date ideas. Sharing a pizza is a great equalizer, as many people consider pizza to be among their favorite foods. Taking your date to a great pizzeria in your neighborhood is a fun, casual way to get to know each other while enjoying a delicious, Chicago-style pizza. You can also plan a cute pizza party at home, and make a homemade pizza, or order pizza delivery from a few different local pizza places to determine which one is the best. If you and your date regularly order food online, a cooking class can be surprisingly fun, especially if you both have a sense of humor. You’ll bond over learning something new, and even if your recipes are disastrous, you’ll still have a great story to tell. 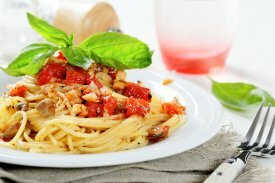 Turn the class into a lighthearted contest by declaring that if one of you turns out to be a much better cook than the other, then he or she has to cook dinner for the other on your second date. When you’ve lived in a city for a long time, you often stop checking out the local spots that make your city special. The zoo is a great place for a first date if neither of you have visited it recently. You’ll have plenty of opportunities for conversation while you walk around looking at cute, interesting animals. You can also turn it into a lunch date and grab some slices of pizza or a sandwich at the zoo café. 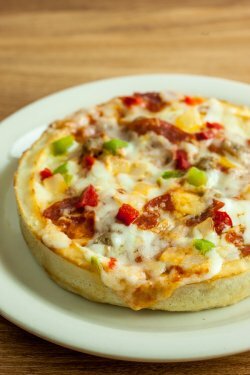 Chicago pizza in San Jose is often associated with fun, parties, and oftentimes overindulgence. If you make the right choices, however, deep-dish pizza does not have to be a guilty pleasure or a “cheat food.” There are actually several ways in which you can make pizza into a healthier alternative that still tastes great. 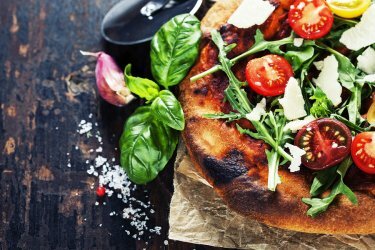 Continue reading if you would like to find out how pizza fits into your healthy eating regime. Pizza is by no means inherently unhealthy. Thanks to modern customization options, however, this dish does have the potential to be a delicious nutritional boost or an indulgent calorie nightmare. The important thing to remember is that the decision is up to you. If you are thinking about having pizza for dinner but would like to keep it as healthy as possible, start by considering the type of cheese on your pie. Many types of pizza make use of one, two, or even three different types of cheese in addition to several toppings. Consider sticking to one type of cheese, and make it mozzarella; this type of cheese contains less fat than other kinds. You can also consider pizza with no cheese at all to reduce sodium levels. It seems like you can get virtually anything on your pizza these days. If you want to keep t he calories low and the nutritional value high, it is important to choose these toppings carefully. While meat toppings like pepperoni, bacon, and sausage are loaded with calories and fat, vegetable toppings are much less caloric. Consider vegetables like peppers, broccoli, and tomatoes for their high levels of fiber as well as vitamins A and C.
Between the cheese and the wide array of toppings that are available, you may have forgotten about the crust. Steer clear of crusts that are filled with cheese if you want your meal to constitute a positive nutritional experience. It is a good idea to go for a different type of crust, like whole-grain, which tastes similar and adds fiber and nutrients.